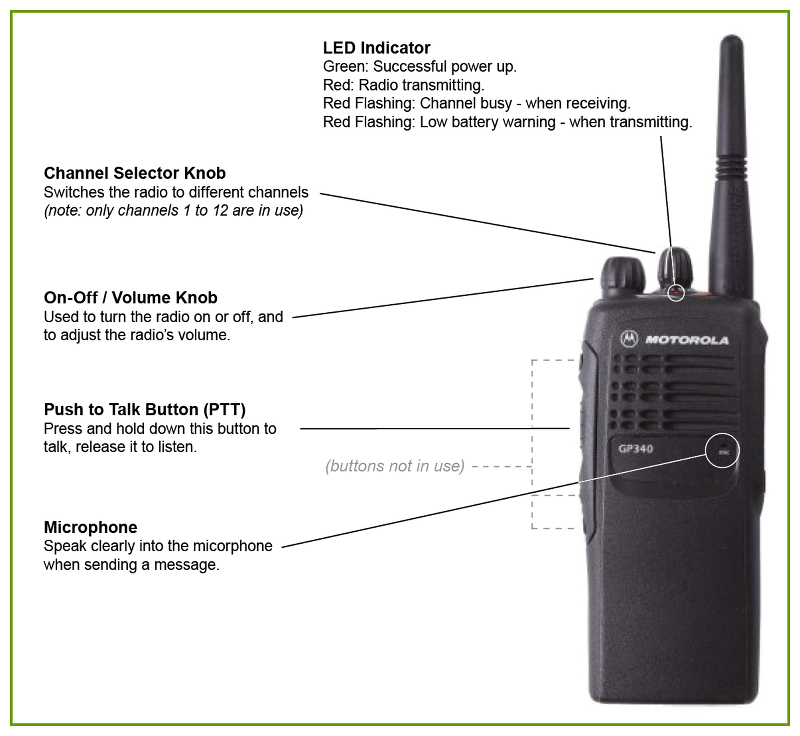 Versatile and portable radio Motorola GP340 - reliable and easy to use means of communication. Meets Class 2 EX ic IIC T4X and standard IP54. The software is capable of supporting five selective signaling, and send DPL and PL-tone. This deployment of the flexibility provided by a programmable frequency grid and the full frequency range of VHF / UHF. Function Voice Compression provides a clear and crisp sound even at quite noisy environment. The level of noise is reduced during pauses. Channel Scan function allows you to maintain and choose the way of communication and monitor workflow on different channels. 'Alone,' the employee (Lone Worker). It provides additional security and privacy for employees working in dangerous conditions at a distance from the group. The radio enters emergency mode if the user does not respond by pressing the PTT switch on the periodic control request. The exceptional ease of use combined with high quality sound and a wide range of programmable functions, allowing you to use it effectively in systems with low technical qualification of the personnel. Radio stations Motorola PG340 is ideal for law enforcement agencies, emergency services, industrial plants, energy companies and other users interested in reliable, high quality, guaranteed connection.